The iPhone applications industry has been going nowhere but up during the last years. With the growth of iPhone sales, comes the ever increasing craving for more and more applications to suit everybody’s tastes, style and preferences. Don’t get left behind by the iPhone application rage! Get somebody to develop an iPhone application for you and freewheel yourself to the lucrative world of iPhone apps. Getting the perfect developer to design and execute an iPhone application or mobile game you have in mind is not always easy. But, it is also not impossible. First, you have to get a good grasp at the basics of iPhone applications. Know what would make iPhone users tick and the type of applications they are most likely to download. With a cool idea and a great feel in the market, you are now ready to bring on an iPhone apps developer. Hit the portfolio. An application developer’s portfolio will almost tell you everything you might need to know. Don’t limit yourself to getting the most well-known firms especially if you are on a tight budget. You can hit on the portfolios of small firms or freelancers that are specializing on iPhone apps development or who have varied and reliable experiences in the web and tech world. Talk and listen. Talk to potential developers about an application idea. Then listen, what the developers will have to say. Listen how they can transform your idea into a functional application, from the designing, execution, and deploying it to the market. A plus factor would be if the firm or the developer has their own idea on how to improve or redesign your application into something that will be a bigger hit. Think about the future. 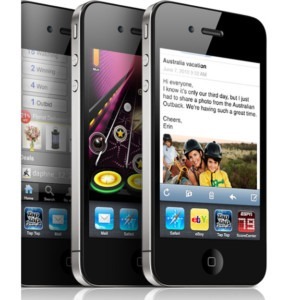 iPhone application development should not be a develop-and-forget project. Your developer must have knowledge and expertise in after-development concerns like fixing of bugs, maintenance, upgrade and other technical support. It is also important that your developer can support you in exploring beyond iPhones into other major platforms like Blackberry, Android, PlamPre and J2ME. Expertise need not be at an exorbitant cost. Get experts to develop your games and applications at a price that is within your budget. Polish your application idea and start the hunt for your iPhone apps developer. Please contact us for our portfolio or to request a quote.